In the early 1900s, William T. Jones, who later became the third Sheriff of St. Lucie County, worked as an engineer for Henry Flagler on the Florida East Coast Railway. Jones suffered an injury in a railroad accident and received a settlement for his injury. With his settlement he built Cresthaven which is known today as The Boston House. Historical records show the cost of building the house was $6,000 and wasn’t completed until 1909. 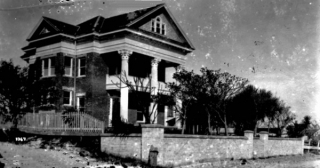 Some of the materials used to build the house was brought to Fort Pierce by the FEC Railroad because Jones was a personal friend of Henry Flagler. Jones lost the house during the great depression. The McCarty family, whose most famous member was Dan McCarty, the thirty-first governor of Florida, bought the house in 1949 but didn’t live in it. They preferred to stay across narrow Boston Avenue in the family home built in 1905. That house is now known as the Governor’s House. 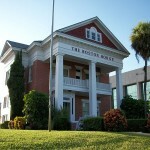 The Boston House (Cresthaven) was restored in 1984-19 85 and is now a law firm’s office. There are many mysterious stories that surround the house’s history. One claim has it that a woman haunts the upper floors, searching in vain for her family. 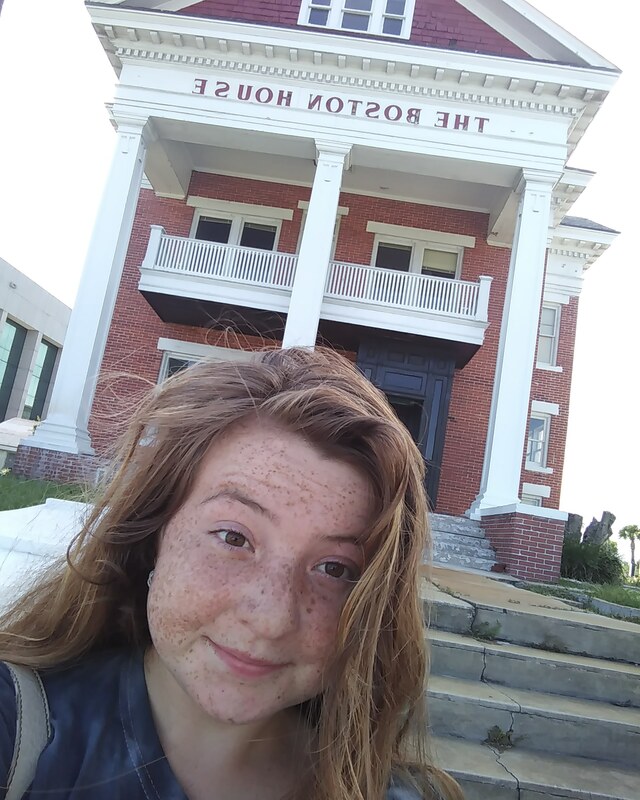 Visitors claim to see her through the top window, and workers inside the building (now a lawyer’s office) claim papers go missing or get moved around inexplicably. It’s a miracle that house is still there. 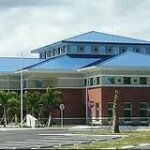 I’ve never seen a city so consumed with tearing down all the beautiful old buildings Fort Pierce used to have. Not to mention it isn’t even safe to live there anymore. My brother in law is a huge builder in Stuart he built a home in Indian River Estates & I was sleeping on couch behind me were stairs I was awake watching TV & heard like heavy footsteps going up the stairs. My Sister would see a shadow go from laundry room to bathroom which you can see from the kitchen! I saw it one day a very tall man long black coat VERY FAST THOUGH! My sister & I were writing my Fathers obituary all day at kitchen table. The driveway was VERY LONG. The doorbell rang we ran to get it & no one was there. Then we heard bag pipes! My Sister then began to get really COLD IT SCARED THE CRAP OUT OF ME! I called an Aunt Who is a medium does past lives stuff! I was frantic because my sister kept saying I’m freezing! I’m scared!!! Aunt said to put salt in every corner in every room. The kids never slept in their rooms always on floor by sisters bed! Well after I heard someone walking up her stairs it sounded like heavy thumps as if person had boots in! I thought it was my family! I LOOKED NO ONE WAS AWAKE! I ran up the stairs begging my sister to sleep in her bed! I slept in floor. The next day I started packing my bags to leave but was not doing it consciously it was SO ODD! I still had one more day to stay! So all I said to my sister was “I’m leaving” very calmly but it was as if I was being forced to go. My Suster said it was SO WEIRD THE WAY I SAID “ I am leaving@. She asked WHY??? I said “I DONT KNOW I HAVE TO GO! It wasn’t until I was on the turnpike I realized what just happened! From the first day I saw new home I did not feel a warmness. Arnold Shawcenager (cant spell name) lived towards end of development! There were not a lot of homes in there. We could see Frances Langford’s home across the way. I took the kids roller blading to see the whole development I got almost to the end & felt creepy & said KIDS LETS GO BACK HOME! That house was so CREEPY! I begged my brother in law to sell it! I was afraid for my sister to be alone during the day! I cannotd describe the COLD FEELING IN THAT HOUSE & in development! I don’t remenber address but I can get from my sister! I felt bad for people who bought the home not knowing it was definitely haunted. My brother in law aunt went to library back then to look up INDIAN RIVER DRIVE IN STUART & she found out their home was built on an Indian burial ground! I researched on the Internet & found scariest stories about the Indians & all these places like IRCC & other places nearby haunted! I saw Indian burial grounds ran all the way up to Jupiter & west palm beach. Reason I’m writing is I was just telling my friend about what we experienced in that home & saw this Site! It was a development right on Indian River Drive My memory fails me with name of development not far from US1 & HARBOUR BAY SHOPPING CENTER. I’m talking CREEPY!!!! My brother in law a big tough guy & I asked him did you ever see anything or hear anything in the house well he used to deny it while they were living in it & then he told me YES I saw the shadow of man just like me & my sister walking past the kitchen & out of corner of his eyes & ours saw quickly a shadow of a tall man long black coat & BOOTS!!!! So for him to admit that TRUST ME IT IS ALL TRUE!!!! I WAS SO HAPPY WHEN HE SOLD IT! I begged him to sell it because I was afraid for my sister & I didn’t want to gonthere anymore!!! I had my husbands 50th surprise party there before we saw anything scary! I remember even though a joyous occasion all the tables set up in living room (this was a HUGE HOME). They all are in there. I looked around at everyone eating and talking & felt a COLD FEELING! I have the video of part haven’t s looked at it in many years. I think development was called Indian River Plantation like 2nd or third home in on the left! Huge front yard and long long driveway! I WONDER IF PEOPLE WHO BOUGHT HOME EXPERIENCED ANYTHING! I’m most definitely sure they have! Whoever was in that house haunting us wanted US OUT OR WERE MAD HOME WAS UNKNOWINGLY BUILT ON INDIAN BURIAL GROUND! Just thinking of it all now scares the CRAP OUT OF ME! The development next door backing up against my sis home was beautiful & we were going to buy this home directly across from my sister just a wall between us. I for some reason while looking at home walked through trees in back yard all the way to back where I could see sisters home & there was some WEIRD LIKE BLACK MAGIC STUFF BACK THERE! Whatever it was I don’t know was scary looking! Circles of wood sticks things hanging from trees I asked my husband & brother in law to come see they looked creeped out & I ran back to front! Just odd that was there in this gorgeous wealthy area! I’m telling you my Susters home was HAUNTED! I never went back after the night I heard heavy footsteps going up the stairs! My Son was 3 years old & there was only a glass barrier on second floor & I always was so scared hecwoukd fall over it to a HIGH FALL TO BOTTOM! I was obsessed with these thoughts as well when I went there! I wonder when I watch surprise party if I will see any images on tape! Like ORBS. My friend showed me photos taken in her home & only in photos we saw these ORBS! I saw them in my security camera all around front door outside!!!! They are not scary it’s just our loved ones passed in. My husband died. Never experienced anything in our home but at my sisters new home in the Indian river in Hutchinson island! My husband LOVED THAT HOME! He came to me twice. Too long to describe. If anyone reading this knows of any other homes inmy susters haunted home if other homes were haunted. Please let me know. Thanks. No one should have to go through this it’s so scary!!!! I went yesterday scary i dont know if u can go in though.